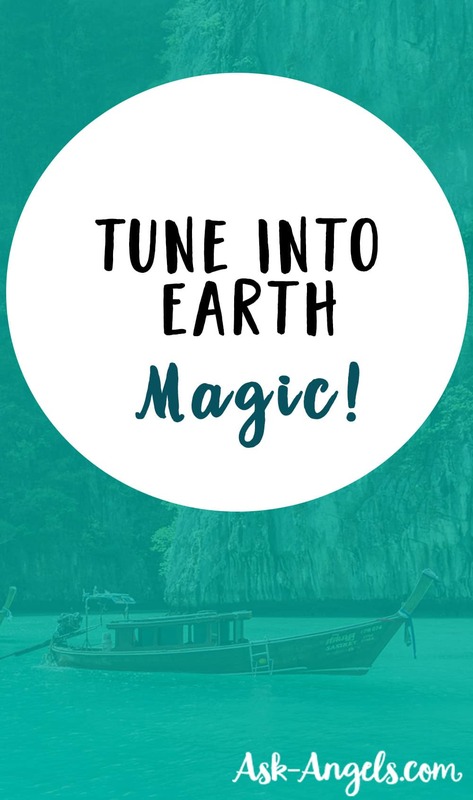 Tuning Into Earth Magic In Thailand… Or Wherever You Are! And I had a couple of key insights I wanted to share with you from this spiritual travel experience. And as I did this, I was not only able to tune into the incredible spiritual energy of the Earth, but I also got the nudge to share a little bit about this process and experience with you. 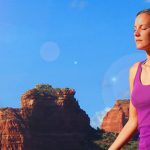 To share with you how you can tune into the spiritual energies of Mother Earth, of the Ocean, Mountains, Desert, Jungle… Or even just the trees and houseplants where you are. Because nature is an incredible healer and teacher. And really, any time you’re out in nature, or near large bodies of water… There is something deeply spiritual and sacred you can tune in to. And so, how I actually go about tuning into the sacred wisdom of the Earth is by simply taking a moment to focus my awareness inward. 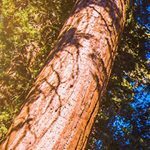 I mentioned above that you can do this inside, with just your houseplants… But really it is the most powerful when you in a forest, next to a lake or the Ocean, or in some way you are surrounded by the natural world. You can tune in with your eyes open by gently gazing out at the land around you. Or you can close your eyes and shift your awareness inside, in towards your heart, just letting yourself fell and experience the pure magic of earth energy. When I tune into the spiritual energy of the Earth in this way, I start feeling a soothing, calming energy in my hands and in the area of my heart. I then consciously focus on filling myself up with light, so that I become a beacon of light and come into vibrational resonance with the incredible light and incredible energy of the Earth that’s all around…. And then, just breathing and being and tuning into gratitude for this very moment, tuning into gratitude for the ocean, tuning into gratitude for the land, for sky, plants, rocks, trees, and all beings. Taking a moment to just love everything that is including loving myself through this process, and that love, presence and gratitude helps me to experience all of the blessings, spiritual wisdom and healing benefits of Mother Earth on such a deep level. Shift your awareness to focus inward and tune into the magic of the Earth. Tune into love, light, and focus on your breathing. As a result of shifting your awareness within, you’re able to begin tuning into the magic and love and light that’s present in every moment. You don’t even have to leave your home, or the City or State that you grew up in! Wherever you are, there’s earth magic and you can consciously tune into it when you consciously choose to tune into gratitude and into love. When you quiet your mind, focus within, and tune into your inner light. Open your heart, tune into your inner radiance and let your light shine. When you are in a state of love, the Earth mirrors that incredible love and light you carry within, back multiplied. While I was in Thailand I also had the opportunity to visit Chiang Mai, which was such a wonderful experience. In Chiang Mai I learned more about Thai culture, and one thing that I really loved about Thai culture was their sense of deep spirituality and mysticism. This is perfectly represented by the Thai spirit houses. A spirit house is essentially a structure that is built outside of condos, homes, restaurants or businesses in Thailand where people can come and pay respect to the spirits that occupied the land here before people moved in. The Thai people go to spirit houses both to ask for blessings and to ask for help. But they also do this to sort of appease the spirits – to keep bad spirits at bay and to keep mischievous spirits from messing with their condo or business. Why am I telling you this and what is my learning and connection from this? Well, to me the spirit house is just such a beautiful reminder that there is so much more going on beyond the physical realm. The earth in and of itself is a beautiful spirit, and of course there are all of these other spirits, like Angels, guides, and fairies. The spirit house is also a wakeup call to take time to express gratitude for your Angels and guides – which actually draws them to you. Finally, the spirit house reminds you to be respectful of others around you, including non-physical beings. Are you being respectful towards the souls of animals and plants and towards the earth itself? If not, use the spirit house as a reminder to tune into mindfulness and presence. Use the spirit house to honor the moment that is now, to honor the earth, to honor the spiritual realms and to honor yourself.